Top: (From left to right) David Carnell, Jessica Huff and Marcus Amador running through their rabbit showmanship routine to the judge! Middle Left: Katelynn Craft waiting for questions from the judge! Bottom Left: Allison Gallardo and ___ competing in novice showmanship! Bottom Right: Great pic of Faith Oseguera showing her rabbity does not have any abnormalities on its abdomen! Top Right: Allison Hall showing us her fierce stance! Bottom Left: Bianca Trindade and Alea Romero practicing their showmanship skills! 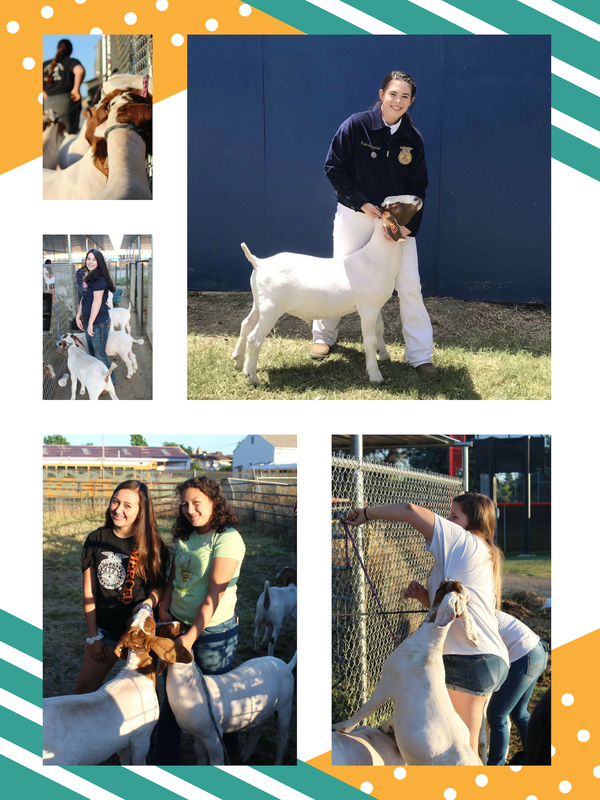 Bottom Right: Caytlin Vincellette working with and training her market goat! 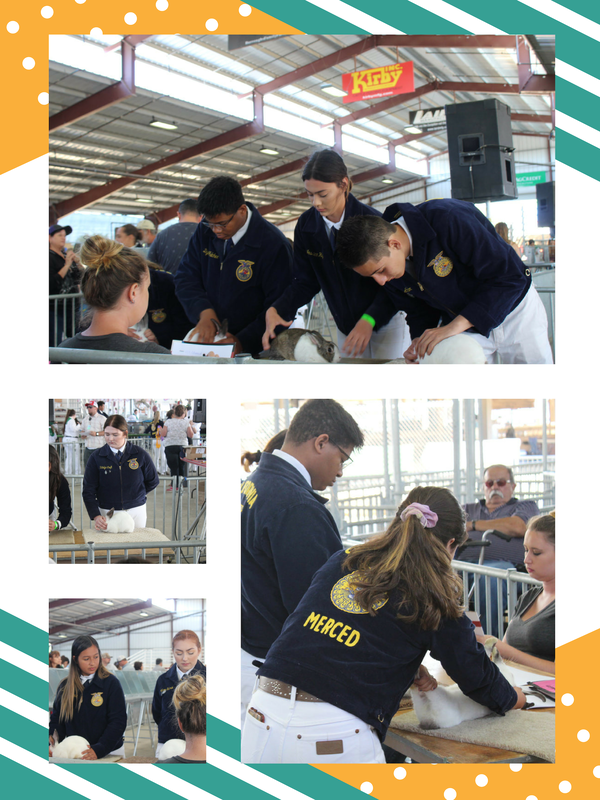 Top Left: Vivika Gonzales shows off her sheep before the showmanship competition! Top Right: Sarah Pagano having a stare down with her sheep! Bottom 3: Our girls competing in market and showmanship! Top: Jared Crossman uses his showmanship skills as he drives his Chester around the ring! ​Middle: Kjori Murakami and her Yorkshire Winnie! 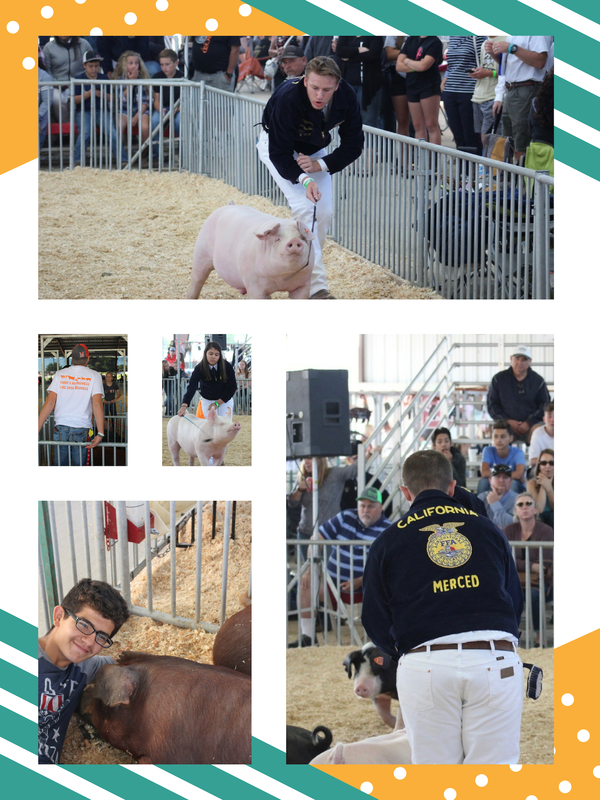 Bottom Left: Juan Campos bonding with his market swine! Bottom Right: Great pic of Kyle Hair in the show ring! Top: Serendipity Burelson places 5th in Novice Dairy Showmanship at the Merced County Fair! 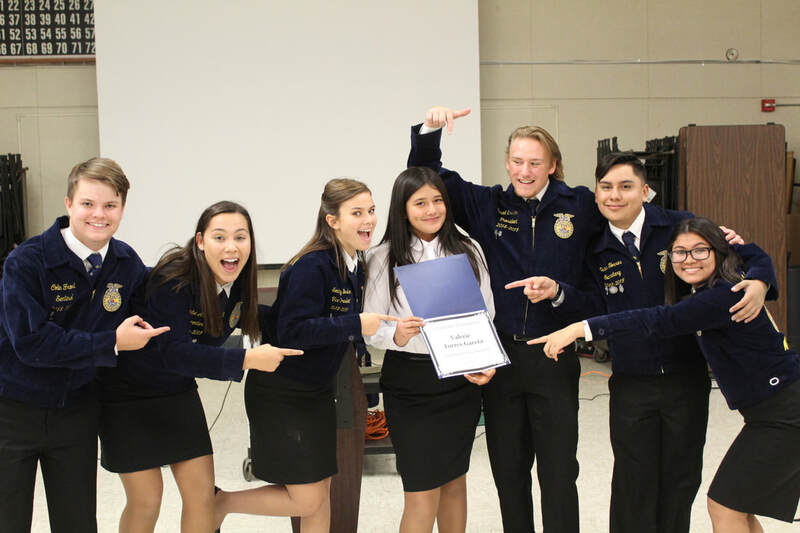 Middle Left: Jared Campos shows off his showmanship skills! Middle Right: Lauryn Knott waits with eagerness to see her newborn calf! Bottom Left: Serendipity Burelson brings our Jordon to show peers how she gets ready for a show! Bottom Right: Here we see Daniel exhibiting his beef replacement heifer! Daniel went on to place Reserved Grand Champion in novice showmanship and overall placing 8th!